A global team of computer scientists and engineers have developed an innovative technique that more completely reconstructs challenging 3D objects. An ancient scientific breakthrough serves as the foundation for the team's modern, innovative solution to remaining challenges in current 3D shape reconstruction. This new approach to 3D shape acquisition is based on the well-known fluid displacement discovery by Archimedes and turns modeling surface reconstruction into a volumetric problem. Most notably, their method accurately reconstructs even hidden parts of an object that typical 3D laser scanners are not able to capture. 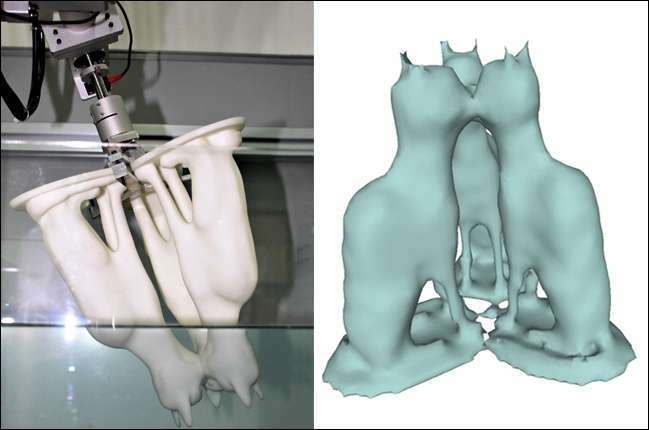 The research, "Dip Transform for 3D Shape Reconstruction," is authored by a team from Tel-Aviv University, Shandong University, Ben-Gurion University and University of British Columbia. They will present their work at SIGGRAPH 2017 in Los Angeles, 30 July to 3 August. An annual conference, SIGGRAPH spotlights the most innovative in computer graphics research and interactive techniques worldwide. 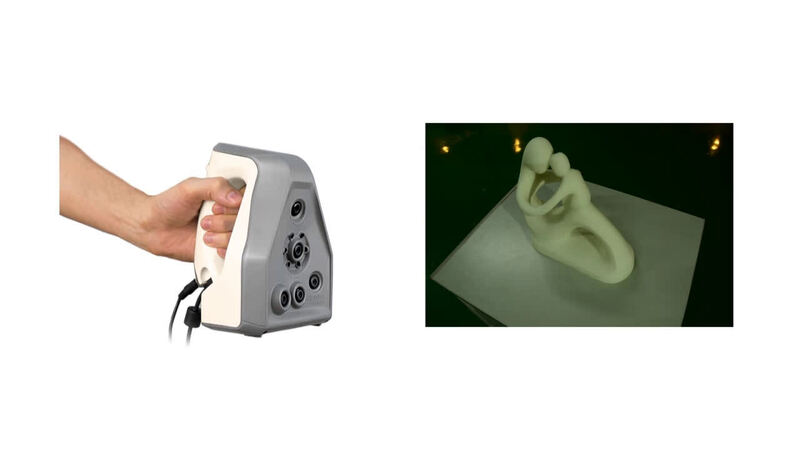 Traditional 3D shape acquisition or reconstruction methods are based on optical devices, most commonly, laser scanners and cameras that successfully sample the visible shape surface. But this common approach tends to be noisy and incomplete. Most devices can only scan what is visible to them but hidden parts of an object remain inaccessible to the scanner's line of sight. For instance, a typical laser scanner cannot accurately capture the belly or underside of an elephant statue, which is hidden from its line of sight. The team's dip transform to reconstruct complex 3D shapes utilizes liquid, computing the volume of a 3D object versus its surface. By following this method, a more complete acquisition of an object, including hidden details, can be reconstructed in 3D. Liquid has no line of sight; it can penetrate cavities and hidden parts, and it treats transparent and glossy materials identically to opaque materials, thus bypassing the visibility and optical limitations of optical and laser-based scanning devices. For the study, the team implemented a low-cost 3D dipping apparatus—objects in the water tank were dipped via a robotic arm. By dipping an object in the liquid along an axis, they were able to measure the displacement of the liquid volume and form that into a series of thin volume slices of the shape. By repeatedly dipping the object in the water at various angles, the researchers were able to capture the geometry of the given object, including the parts that would have normally been hidden by a laser or optical 3D scanner. The team's dip transform technique is related to computed tomography—an imaging method that uses optical systems for accurate scanning or to produce detailed pictures. However, the challenge with this more traditional method is that tomography-based devices are bulky and expensive and can only be used in a safe, customized environment. The team's approach is both safe and inexpensive, and a much more appealing alternative for generating a complete shape at a low-computational cost using an innovative data collection method. In the study, they demonstrated the new technique on 3D shapes with a range of complexity, including a hand balled up into a fist, a mother-child hugging and a DNA double helix. Their results show that the dip reconstructions are nearly as accurate as the original 3D model, paving the way to a new world of non-optical 3D shape acquisition techniques.